The team enjoyed a successful day of networking at the 7th annual Tees Valley Business Summit, at Teesside University. Odyssey was one of the 100+ exhibitors involved in the event, which we have continued to support over the years and has proven to be a great way to engage with fellow Tees Valley-based businesses and organisations. It was nice to catch up with many of our existing clients, who were also exhibiting on the day, and refreshing to meet some new faces and potential customers from some of Tees Valley’s thriving companies. Phoebe, Luke, Louise and Freya, our team on the ground at the Summit, also had the pleasure of meeting some of the region’s VIPs! We were delighted to welcome Tees Valley Mayor Ben Houchen to the Odyssey stand to give him an insight into our business and how we’re’ Keeping Business Talking’ across Tees Valley. The Mayor has done a fantastic job so far in post and his vision for Tees Valley aligns with our own. His speech at the event captured perfectly that the area is open for business with unemployment in the North East at its lowest and investment in the region at its highest, which is supporting local businesses. Here at Odyssey, we continue to follow this philosophy as we invest in new technologies and are always looking to create new jobs. Stockton South MP, Dr Paul Williams MP, was another dignitary who paid the team a visit and it was another good opportunity to discuss Odyssey with a key figure in the area. 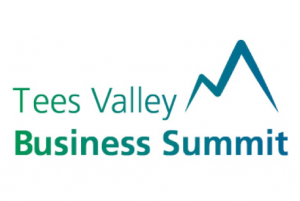 We always enjoy the Tees Valley Business Summit and we’re looking forward to supporting it again in the future, as well as other events in the region that help shout about the many successful companies operating in the North East.